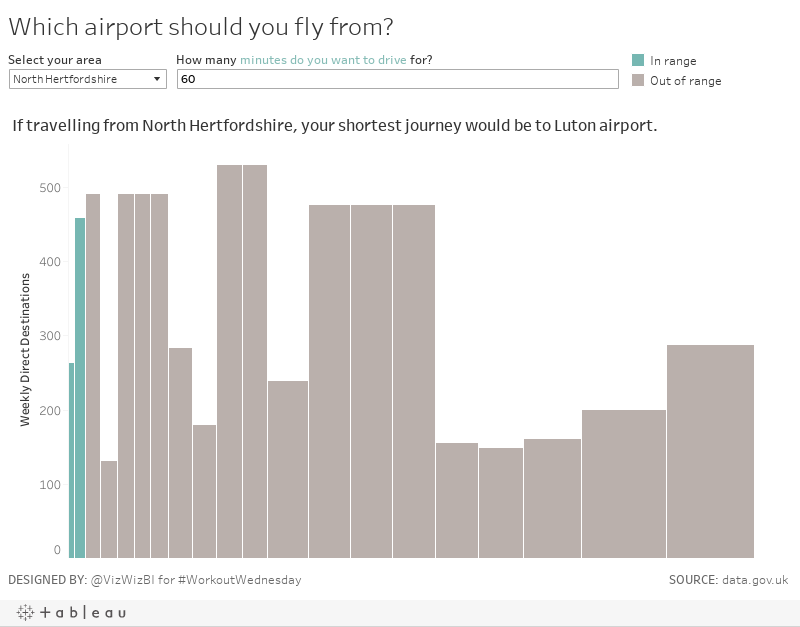 Workout Wednesday: Which airport should you fly from? This is first time I've ever created a variable width bar chart, so I had a lot to learn. I was able to quickly implement all of the requirements that Emma outlined except for the variable width bars. Fortunately there's a great knowledge base article that outlines the basic steps. Once I read through it, I was done! What were the sneaky bits for me? Another fun challenge in the books! Thanks Emma! !